Pre-Register Here for Local Courses and Online Distance Webinars or call (325) 338-6651 to learn more. Metabolic Coaching is a unique educational and behavior modification program designed by a local medical doctor (an MD) to help you reach your health goals – being healthier, feeling better, and taking fewer prescription medications. The idea behind Metabolic Coaching is very simple – the food we put into our bodies has a massive impact on our health! Is Metabolic Coaching Right for Me? Are you starting a new medication for diabetes, blood pressure, or cholesterol? Would you like to decrease the number or dose of medications that you take for chronic medical conditions? Has your doctor recommended that you lose a little weight? Are you pre-diabetic or diabetic? Has your doctor told you that you should lower your blood pressure a little? Are you pre-hypertensive or hypertensive? Has your doctor recommended you lower your cholesterol or prescribed cholesterol lowering medications? Do you need to lower your hemoglobin A1c? Would you prefer to improve your health naturally rather than with multiple medications? If you answered “Yes” to any of the above questions, then Metabolic Coaching is right for you. This program will teach you how to take control of your health, and all the symptoms of the metabolic syndrome, with simple changes in your diet. The fact is this – if we keep eating the same foods that gave us metabolic syndrome, we will continue to grow sicker and sicker. Or if we make a few simple changes in our diet, we can grow healthier and healthier, reducing our symptoms from chronic medical conditions and reducing our dependence on medications. Luckily, all you need to do in order to reverse metabolic syndrome is to change your metabolism. Your body’s metabolism is driven by the foods you eat. Foods that increase the hormone insulin, will increase symptoms of the metabolic syndrome. Foods that decrease insulin production will decrease (and eliminate) the metabolic syndrome. It’s that simple. How Does Metabolic Coaching Work? Metabolic Coaching is done is small groups. Each group is led and taught by a medical professional & Metabolic Coach. 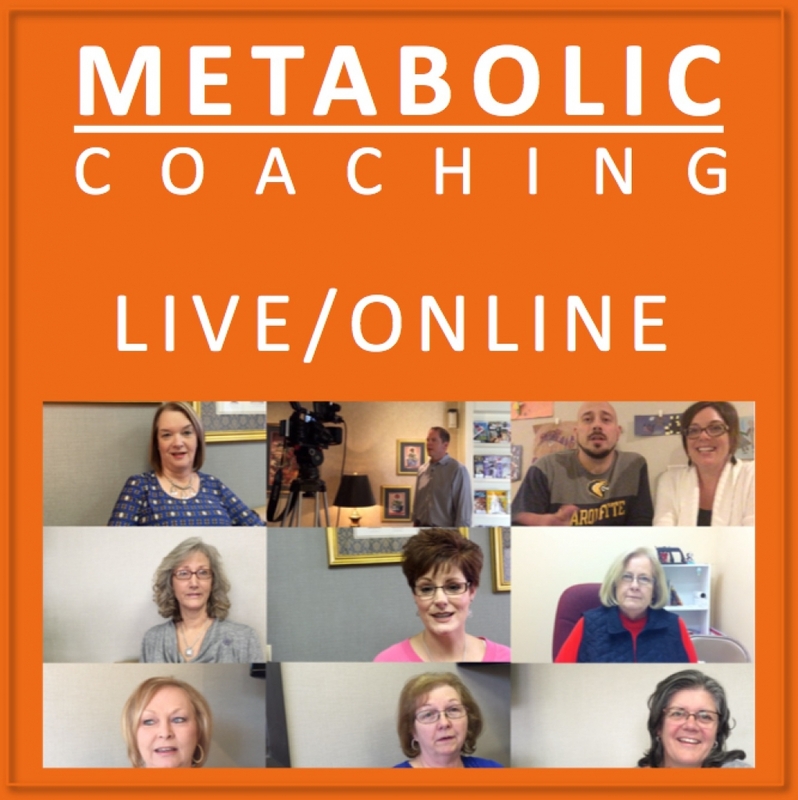 Each Introductory Metabolic Coaching session includes two hours of instruction including question and answer time to address your specific needs. You will also be given access to free online tools that you can use to reach your health goals. You may choose either 3 month follow-up, or ongoing follow-up for as long as you like (3 month minimum, until cancelled by you). During this time you may attend as many hour-long live follow-up sessions as you like, and get support by email/text messaging (questions usually answered within 48 hours, or two business days). Online tools include videos, audiobooks, written information, and more. Where, When, and How to Schedule? Coaching courses can be scheduled by calling our local phone number: (325) 338-6651. The location, date, and time of your course can be scheduled at the number above. If your schedule will not allow you to attend our regularly scheduled Friday Metabolic Coaching course, no problem! Some people just don’t live locally or can’t take the time off during the work week. We understand. So check out the evening Webinar instead. You will get the full 2 hours of live, small-group Metabolic Coaching along with 3 months of follow-up – just like people who attend the seminar in person. And all on an evening schedule that works for you! Register or Learn More about Online Metabolic Coaching + 3 Months Follow-up Here. What About My Current Physician? Number 1 – keep seeing him. Any diet and lifestyle program should be monitored by your current physician. Number 2 – you might be thinking, “If Metabolic Coaching can improve my blood pressure and blood sugar, why doesn’t my regular doctor give me this information?” The simple answer is that most physicians just don’t have the time. Life in a busy medical practice is hectic, and physicians have a limited amount of time to spend with each patient. There is only a limited amount of information he can give you in 10 or 15 minutes. Metabolic Coaching is designed to help practicing physicians by filling that information gap – leaving them more time with patients while giving them an excellent resource where they can refer patients for more information. By teaching in small group sessions, we can maximize the information given and time spent with each patient – all while keeping the costs extremely low. What Kind of Diet Changes? In brief, the diet changes taught in Metabolic Coaching are consistent with a low-carbohydrate diet. This is the diet that personally helped me lose 40 pounds and decrease my blood pressure by almost 20 points. And after 4 years, this diet still works. It is filling, sustainable, enjoyable and do-able. There is no starvation. There are no gimmicks. You simple avoid foods that increase insulin (sugar and carbohydrates) and eat plenty of the other foods that don’t increase insulin. It is that simple. You can learn more about the diet by reading up on the Swedish LCHF diet, the Wheat Belly Diet by William Davis, MD, or the Cut the Killer Carbs Diet on this website (free). The two big challenges that Metabolic Coaching addresses are: 1. What to Eat? and 2. How to Change My Mindset? 1. What to Eat? Is fairly straightforward. There are certain foods that are great! There are certain foods to avoid. 2. How to Change My Mindset? This requires a little more time, finesse, and expertise. This is where Metabolic Coaching really shines! We all know things that might be “good” or “bad” for us, but we don’t always make “good” decisions. Changing your mindset is all about how to make good decisions easily, simply, and on a regular basis. It is about changing the way you think about food, forever. Does Insurance Cover Metabolic Coaching? This is a lifestyle coaching program to allow you take control of your health. It is not typical “health care.” For this reason it is not covered by medical insurance. During these educational sessions, the doctor will be teaching, and will NOT be prescribing medications or treatments for any specific disease. You have a doctor. Most people have several doctors! And metabolic coaching is designed to help you work with your current physician to improve your health and reduce your dependency on chronic medication. Many of us are sick because of a lack of “health education,” not a lack of “health care.” This lifestyle coaching program is designed to fill that education gap, and let you continue your general health care with your current, qualified physician. 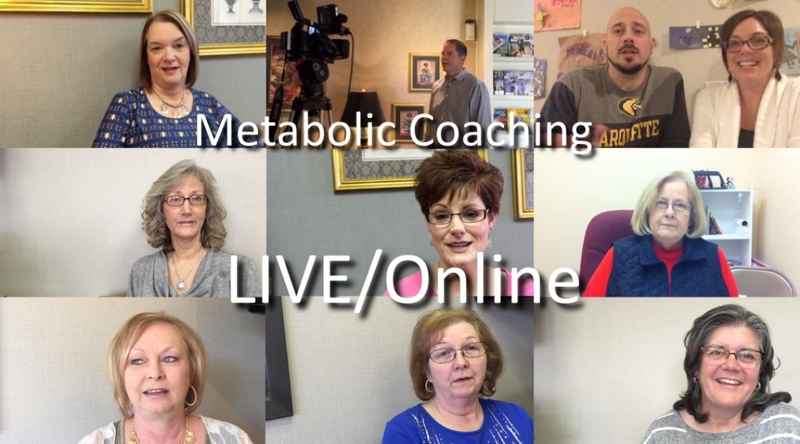 Simply PRE-REGISTER online Here for the next available Metabolic Coaching session (or call (325) 338-6651 for more info or to register by phone). If you have questions, please call. We will answer them immediately or call you back with further information. You can also email via the Contact Page here for more info. There is only a charge for LIVE Metabolic Coaching sessions. The videos and other content on this website are free. Find a more online content and videos to meet your health goals at our LCHF Resources Page. Or begin the Cut the Killer Carbs program on our FREE Content Page. Hundreds of clients have completed the Metabolic Coaching program + 3 Months Follow-Up. See a sampling of their great results on your YouTube Channel Here.